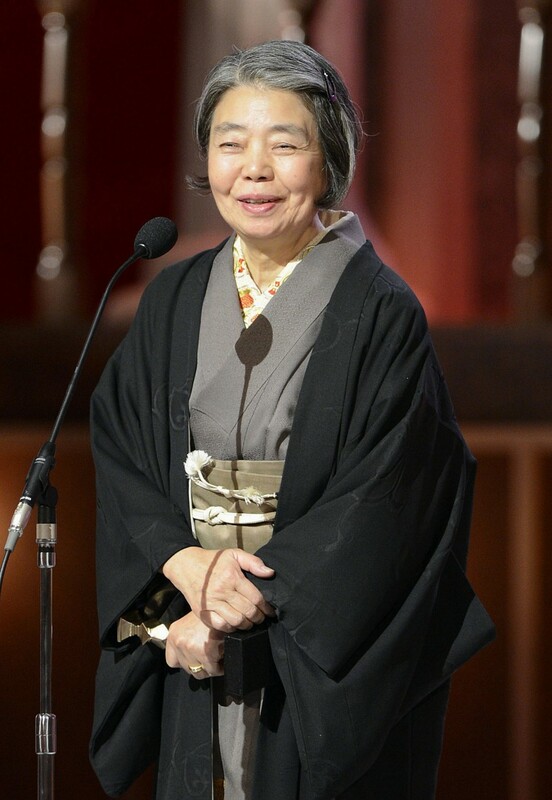 Kirin Kiki, a veteran Japanese film and television actress known for her unique roles, has died at her home in Tokyo, a source close to her said Sunday. She was 75. The cause of her death on Saturday was not immediately clear. Kiki recently appeared in "Shoplifters," which won the prestigious Palme d'Or award at this year's annual Cannes International Film Festival. Kiki, who had been diagnosed with breast cancer, said in 2013 that her cancer had spread throughout her entire body. She first became popular in TV drama "Shichinin no Mago" (Seven Grandchildren). She also appeared as a mother in TV dramas such as "Terauchi Kantaro Ikka" (Kantaro Terauchi Family) and "Jikandesuyo" (It's Time). Her other works include the films "Tokyo Tawa: Okan to Boku to Tokidoki Oton" (Tokyo Tower: Mom and Me, and Sometimes Dad) and "Chronicle of My Mother," which won a special jury award at the Montreal World Film Festival in Canada in 2011. For both of these films, she won a Japan Academy best actress award. Kiki's duet song "Ringo Satsujin Jiken" (Apple Murder Incident) with Japanese singer Hiromi Go, with whom she had co-starred in a TV drama, was a huge hit. In an interview with Kyodo News earlier this year, Kiki said, "There's no point comparing myself now to my old healthy self and feeling miserable. Rather than fighting reality, I choose to accept what's in front of me and go with the flow." She was diagnosed with cancer in 2004.